Fresh, sweet floral, herbaceous (like true Lavender). Refreshing, balancing, relaxing; respiratory and circulatory tonic. An uplifting, refreshing and relaxing oil that is a circulatory and respiratory stimulant and soothes sore muscles. It has many uses as an all-purpose oil, is similar to true Lavender in its action but less sedative and more tonic and energizing. Reduces nervous tension, debility, anxiety, listlessness. 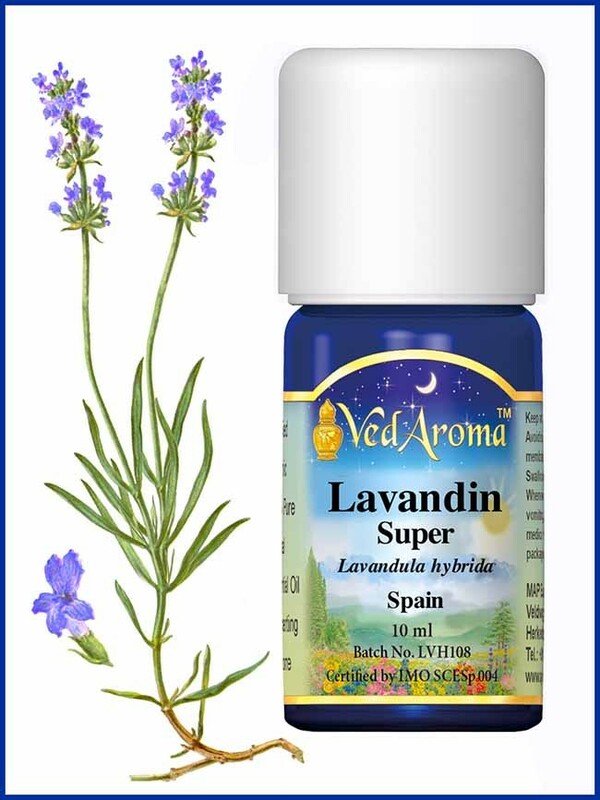 Use in the VedAroma micro-diffuser, for inhalation, apply a few drops locally, or add to massage oil or bath.